And we got all of that last weekend. A thrilling and tense affair, which started wet and dried throughout. 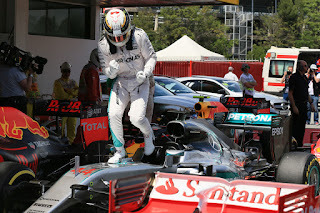 And which boiled down largely to a fine, exhilarating battle for the win between Lewis Hamilton and Daniel Ricciardo. Typically, they were brave, fast and no quarter was given. But there were plenty of other worthy drives out there too. 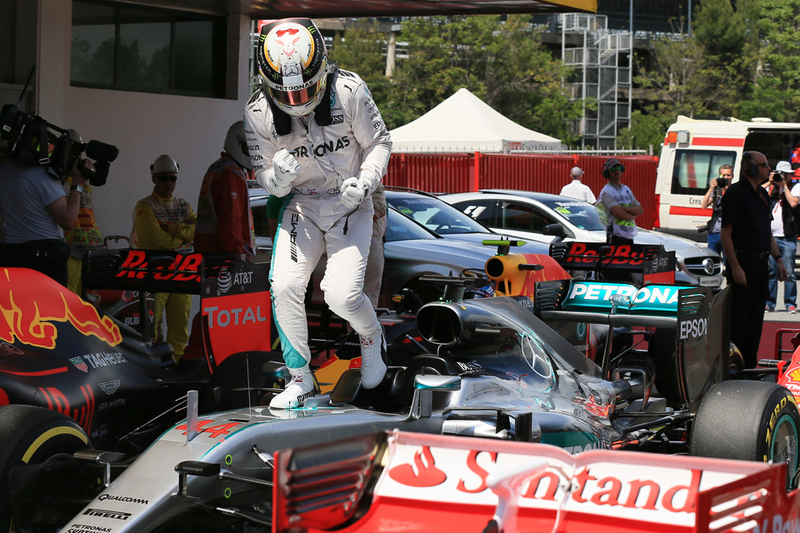 Lewis Hamilton finally won a Grand Prix after a long drought that lasted close to eight months. He was cheered on by his new friend Justin Bieber - musical collaboration, 'just good friends' or a full-blown bromance? 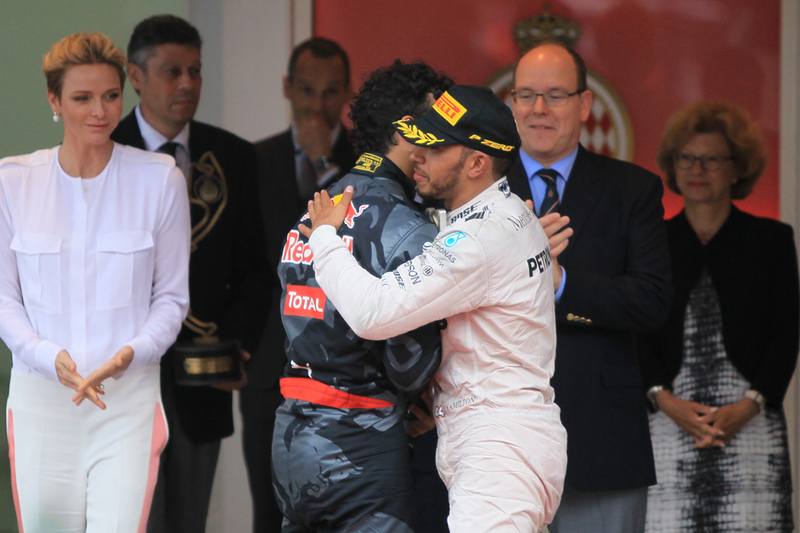 Sorry Niki Lauda, Hamilton seems to have moved on quickly. The one Bieber song that Red Bull Racing must dedicate to Daniel Ricciardo is 'Is It Too Late To Say Sorry' after the "screwed" pitstop which cost the Australian a race win. To top it off, Red Bull Racing came up with the most ridiculous justification for their error. 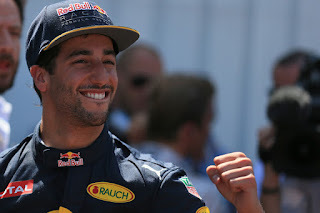 Should Ricciardo move on or stay put and hope for the best? Is the 'Baby Webber' to the 'Baby Vettel'? 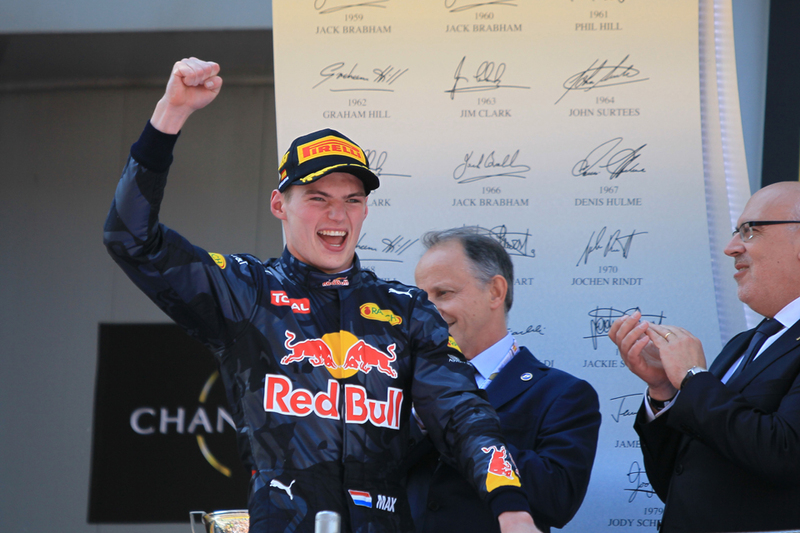 And we're convinced that Max Verstappen's only possible weakness is the Monaco Grand Prix. Did Red Bull Racing gift the race to Mercedes to settle their debt from Spain? 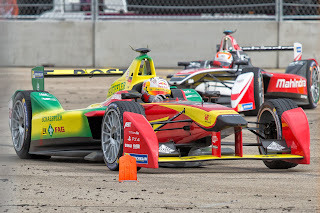 If Pirelli's ultra softs can last 47 laps, does that mean that the hards would last two race distances? If so, that's longer than what the Honda engine lasts! What the hell happened to Nico Rosberg, does he deserve to be World Champion after a drive like this? And a BIG cheer for Force India and Sergio Perez for their podium finish! We also tell you why Fernando Alonso should play football before every race, how Sauber are learning from the best, and why McLaren-Honda will finally win races in 2022. Tune in! 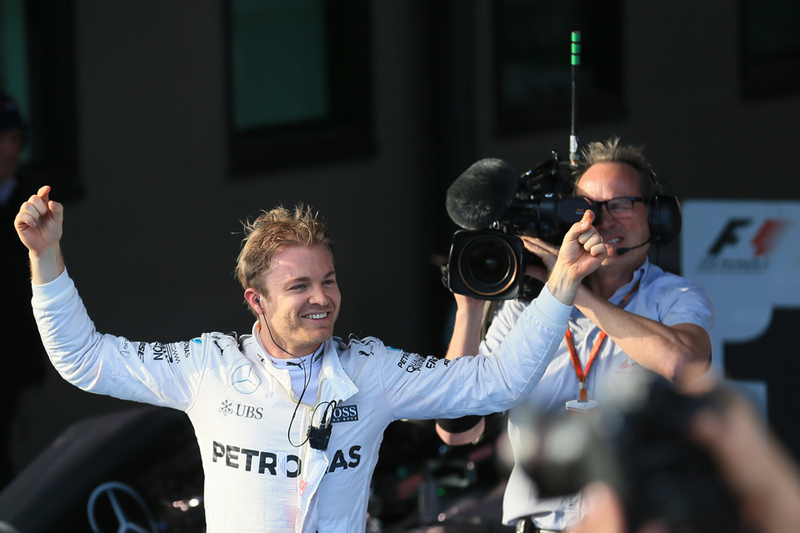 In a place known for attracting stars, today was one for possibly F1's very brightest. Daniel Ricciardo's sheer sparkle in and out of the car is not to be denied and today he made good on the former at least in qualifying for the Monaco Grand Prix. That most important pole of all, for more reasons than one, is his. And is his in stupendous style. "My time" concluded the triumphant Australian on his cool down lap. Not only was that apt but was another thing that could have more than one simultaneous interpretation. 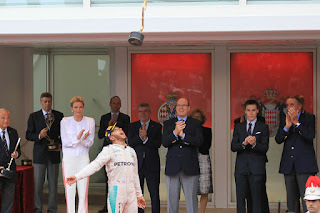 Given everything you had to remind yourself it was in fact his first ever pole in F1. "It's been my time for a little while" Ricciardo added picking up the theme later, "and here it's the most rewarding place as you know, sure we've got a great car and the upgrade has helped us this weekend with the power unit, but there's that bigger percentage of driver difference here than at any other place on the calendar, so that's a nice little one". All was said with his habitual broadest of smiles of course. 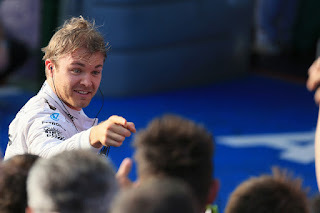 But his lap time too, from his first effort in the vital final part of qualifying, sent reverberations up and down the pit lane - a 1m 13.622 mark that at the time Nico Rosberg could only get to around three tenths of and Sebastian Vettel barely within a second. Ricciardo promised in advance he would be "ragging it" in Monaco. I'm uncool and therefore not sure what that means, but from watching his astonishing and danger defying commitment through the final turns of that crucial lap he may have provided a clue. It certainly was on the ragged edge. "Just dynamite" was how his boss Christian Horner summed it up. Lewis Hamilton must be pissed with Niki Lauda for two reasons - first, Lauda blamed Hamilton for the Mercedes collision and second, Lauda called Max Verstappen the 'talent of the century.' Well, for that compliment, even Sebastian Vettel must be pissed! Max Verstappen's maiden race victory on his Red Bull Racing debut gives us plenty to cheer about. We heard the Dutch national anthem on the Formula 1 podium for the first time ever and it seems fans should get used to hearing this anthem very often. The 'Civil War' that broke out on track between the Mercedes drivers - who was to blame? We give you our view, but we wonder if the Lauda-Hamilton bromance has actually come to a premature end. 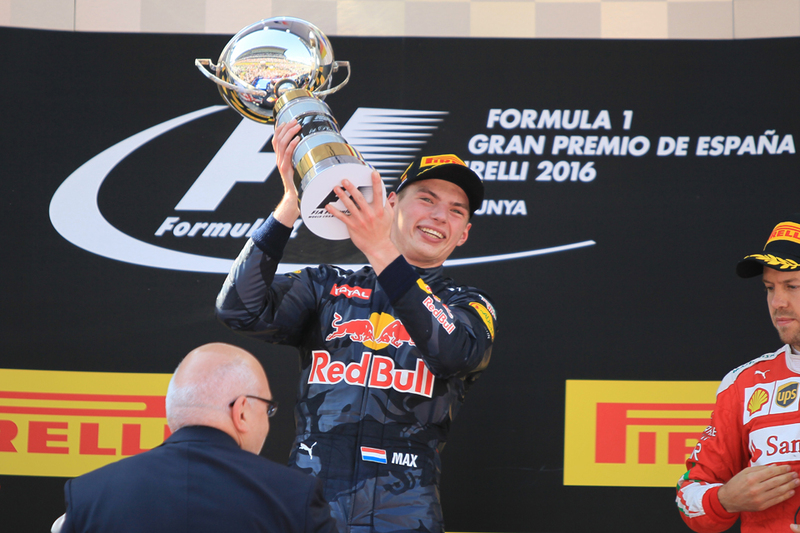 Did Red Bull Racing favour a Verstappen win over Ricciardo? 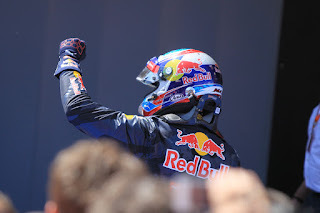 For a brand built on 'shock marketing', a Verstappen win would and was perfect PR for their 'Gives You Wings' tagline. Horner has labelled Verstappen as the 'future' of Red Bull Racing - will they now chase the Formula 1's 'Youngest World Champion' record? And where does this leave Ricciardo? We find amusement in Alonso's lack of power (yes, it's still funny), Kimi racing against both generations of Verstappens and Vettel's cranky rants. Also, is Red Bull Racing Ferrari's Young Drivers' Program? We never learn, do we? We - and I include myself in this - love to look at the numbers and everything else then conclude anew that we can predict with confidence what lays ahead in F1. Often we can in fairness, yet sometimes, just sometimes, we can't. As in this game things can happen. Every so often they are big things. And the Spanish Grand Prix of 2016 will be long remembered as the scene of more than one of those big things occurring on the same afternoon. Unlike in many sports, in F1 whatever your wares your day can be ended at a stroke, and it can have nothing to do with the one who ends up taking advantage to triumph. The two Mercedes team mates who were expected to run and hide in Barcelona did for each other after just a few corners, in that way we'd often speculated about but just like the content of some wacky dream we couldn't quite comprehend it happening for real. And were that not enough for startling stories, after some adventures along the way we got our youngest winner in the sport's history in their stead. A man still a teenager. A man who wasn't even driving for his current team in the previous round. The first Grand Prix triumph for a truly astonishing young racer, who keeps on facing down without a flinch every latest and greater challenge before him in his progression. Yes you may have worked out that I'm talking about Max Verstappen. With today's win you could hardly see a minor ripple in his apparently inexorable upward trajectory. The Evolution Of F1 Video Games by SELECT CAR LEASING. Inside Line F1 Podcast - Can Max Verstappen Score A Podium On His Red Bull Racing Debut? Max Verstappen drives his first race for Red Bull Racing and Mithila and Kunal couldn't be more excited. Can Max manage a podium on his debut? And can we get a little optimistic and hope for a race win (after all, the statistics are in his favour!). After his Pastor Maldonado-like movie in Russia, can Danii Kvyat pull off a 'Maldonado' again in Spain? 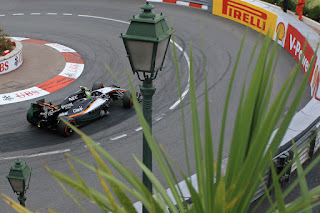 That would mean winning the race - because Maldonado was a race winner here in 2012! What sweet revenge that would be. Of course, Verstappen faces a host of challenges on his debut - but his biggest test is when he & Kvyat face the media together on Thursday. Certainly the FIA has a sense of humour! If Renault had a sense of humour, maybe they would give Kevin Magnussen one of their new Renault trucks instead of a regular road car. McLaren is doing their bit of social service for Formula One - they've an exclusive agreement with Honda, so thank God none else suffers with a Honda engine like them! Carlos Sainz is patiently waiting for his turn for a promotion to Red Bull Racing (what else can he do?). It's likely that Sainz's shot at a promotion will come only when Ricciardo or Verstappen move to Ferrari. Where would that leave Kimi Raikkonen? Perhaps he is well suited to act as Formula 1's relationship manager with Vladamir Putin (in vodka we trust). Lewis Hamilton has been racing against young karting drivers at the Barbados Festival of Speed - is he gearing up to take on a young Verstappen? And finally, we tell you why MotoGP is cooler than Formula 1. But no, we're not going to start the Inside Line MotoGP Podcast! But a single race after a fine drive to the podium, as punishment apparently but for two clumsy crashes early in the Russian race, the famously ruthless Red Bull programme strikes again. Daniil Kvyat is out with immediate effect, demoted to the Toro Rosso B team but that part is presumably a stay of execution only. 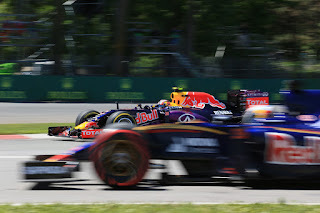 While the young prodigy Max Verstappen as a swap is in the plumb A team drive in Kvyat's stead. Some have sympathised with Kvyat. Some have said the team's got it plain wrong in its decision. But as I argue in my latest Grand Prix Times article, there's more to this than is being let on. And ultimately it's hard to argue with Red Bull's logic in doing what it's doing.